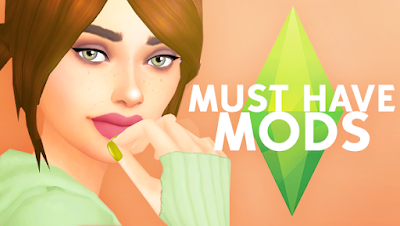 Here is a list of MY must have mods, honestly all these things together are huge game changers, and make the sims game THAT MUCH MORE enjoyable! Controls The Luminosity Of Cas, Great For Photos! Helps When Editing And LOOKS Prettier. Okay first you u go to your file explorer, then go to electronic arts and open another file. The second file explorer will be the downloaded file. for the first file explorer you need to go to mods, then drag your file to the mods section in the other file explorer tab, and open the game. OK so it may be a little bit late, but what you have to do, it open your file explorer, then press documents, electronic arts, the sims 4, mods, and stay there, then download a mod. you have to get the stuff out of the archive. after you have done that, make a new folder and type the name of the mod and put it on your desktop. now, put the files inside the archive into that folder and drag that folder into the mods folder in the file explorer. Now all u have to do is start the game. ENJOY!!! the link for the poseplayer is the same as the place marker but I dont see it linked on that post ?? nvm I found it !! Where did you find it?? How do you download the pest one? I click download on the bottom of the page but when I click in the 'selection' part, nothing happens, help please!? I like how she has a website but she doesn't bother to answer anyone's questions. How do I install the MC Control Center Mod? The link of the teleport mod doesn't work;-; does anyone have a link for it? I do, just scroll all the way down until you see it tells you teleport any sims. How do You get the background? When I clicked download it went to Jenni sims website and then I click download on her website for the background and then this virus ad popped up and every time I click download the ad pops up.